The dream of playing college sports is a powerful motivator for young men and women, many of whom are the first from their family to attend college. Athletic scholarships are the means by which those dreams become realities. Scholarships are not "given" by the university, nor are they "free rides". Scholarships are earned by the student-athletes who have an intense daily academic and athletic regimen. Scholarships are paid for by the Athletics Department -- more than $11 million per year -- and funded by Seminole Booster members. 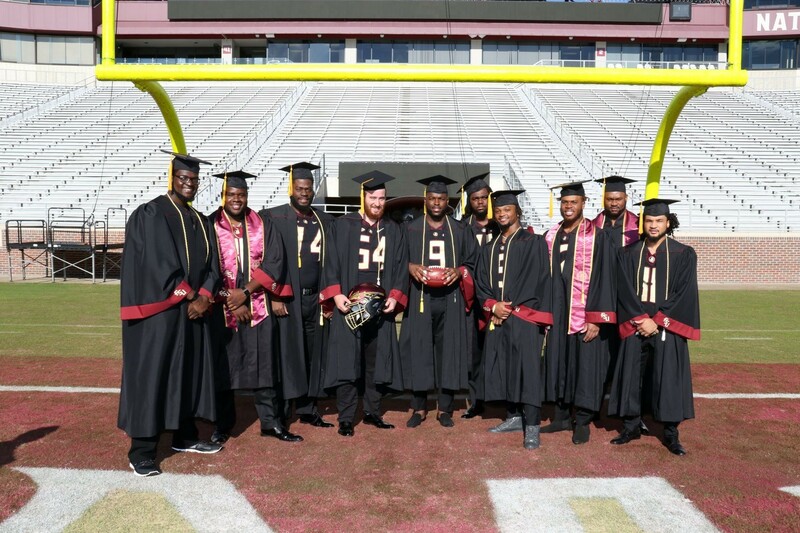 More than 80 percent of Florida State scholarship recipients graduate from the university -- including a high percentage of first-generation college students -- and their lives, and the lives of generations of their family are changed as a result. "Thanks to my football scholarship, I was the first from my family to be able to attend college. As a result of that one scholarship my older brother chose to attend college too. My scholarship led me understand how important education is and to raise the academic standard for my children. So my scholarship changed my life, my brother’s life, my son Christian’s (former FSU quarterback) life and generations of the Ponder family."